Homestyle Roof Painters agrees to complete the work set out overleaf/quote/work order. 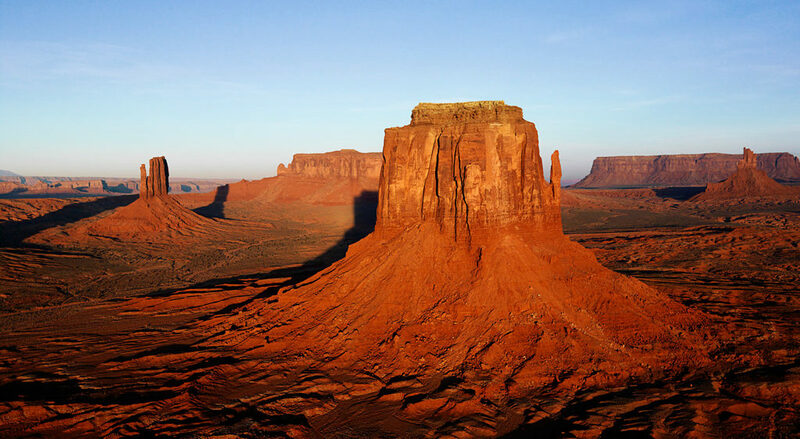 A 10% deposit of the contract price is required upon acceptance of this quotation/contract. Upon clearance of the deposit payment a commencement date for the work will be given and scheduling of work will commence. Once accepted, the quote is a fixed agreed price for work to be carried out, and will not be negotiable at the completion of works. The work will be clearly stated on the quote. This is to let both parties know of the work entered into. If the scope of works is not on the quote then it is not going to be carried out. Unfortunately we do not work on hearsay; he said, she said. In the event of a variation to the quoted scope of works for unforeseen reasons, the customer will be notified as soon as possible. The balance of the Quotation/Contract price is strictly to be paid on the day of the repair/restoration work is completed. Payments can be by cheque/cash or credit card by phoning our office on 07 5495 2200 and is subject to clearance if by cheque. The customer agrees to supply electrical power and water as reasonably required by Homestyle Roof Painters. All power and water charges incurred in relation to the work will be borne by the customer. Cancellation of work by Customer will result in the forfeit of any deposit money paid subject to the expiry of any cooling off period (if applicable), including materials/supplies ordered and work up to date. Homestyle Roof Painters will not be held responsible for any delays caused by weather or other conditions. Homestyle Roof Painters reserves the right to cancel this contract due to any unforeseen circumstances at the absolute discretion of Homestyle Roof Painters. Homestyle Roof Painters reserves the right to refuse to carry out work contracted for any reason whatsoever. No responsibility can be taken, under any circumstances, for damage to any vehicles parked on, or adjoining the premises. The Customer acknowledges any such vehicles are to be removed by themselves prior to any work being commenced. Neighbours should be notified of any roof work being carried out. 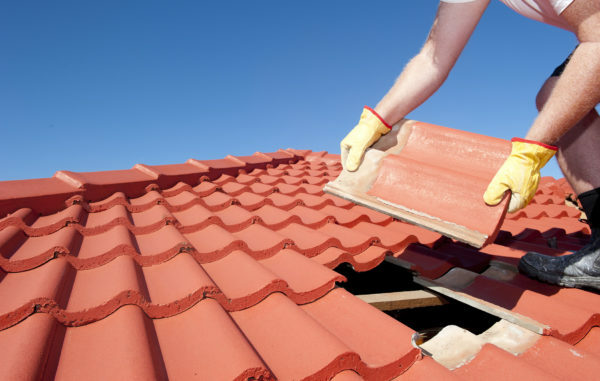 No responsibility can be taken, under any circumstances, for damage caused to Patios, Gazebos, Shade Cloths or Roofs during the restoration process where the structure is found to be unsound or skillion roof without adequate fall. If Shade Cloth needs to be moved to complete work, this is the owner’s responsibility and risk. Homestyle Roof Painters takes no responsibility for tile clips that are found to be faulty and is not liable for any damage as a result of a faulty tile clips. 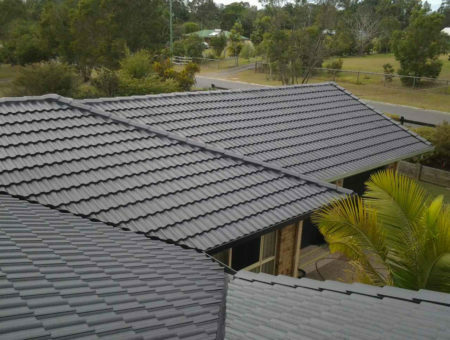 Due to age, some roof tiles are discontinued and are not available to purchase new by Homestyle Roof Painters. Quality inspected 2nd hand tiles sourced for the job carry a 3 month warranty from the supplier. No responsibility can be taken under any circumstances if rust returns. Treating rusty screws or sheets is a rust treatment. This is prevention not a cure. 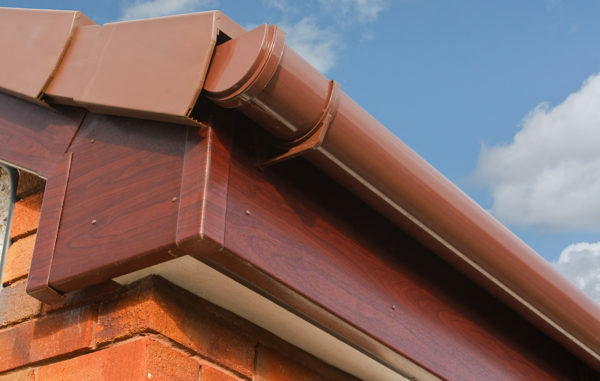 No responsibility can be taken, under any circumstances, for damage to guttering during the restoration /cleaning process, where gutters have been found to be rusty or weathered from age. Homestyle Roof Painters does not accept responsibility and is not liable for leaks and damage or any associated costs resulting from storms, extreme weather, or acts of God. 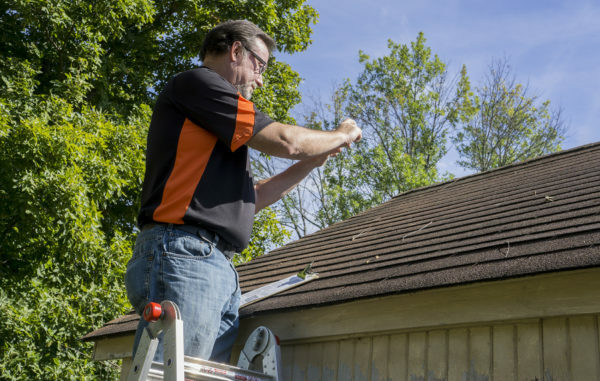 Due to age and deterioration any damage to the roof/surface/other fixtures during cleaning is not the responsibility of Homestyle Roof Painters. 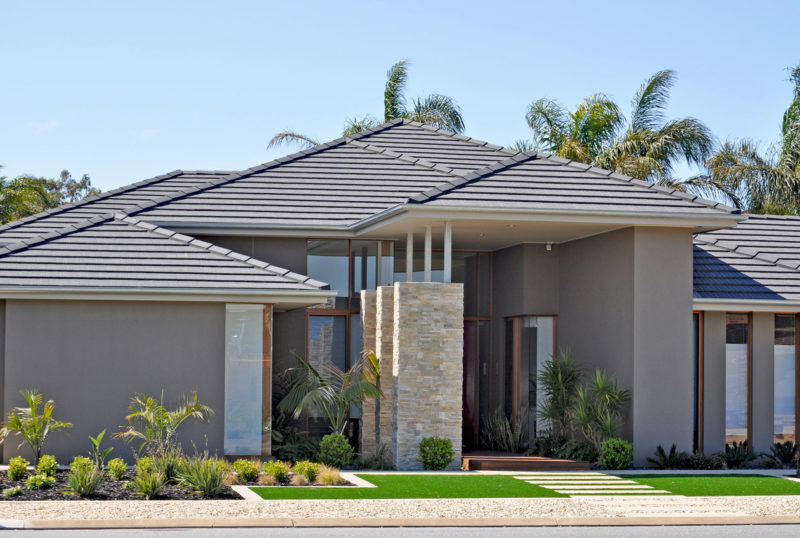 Homestyle Roof Painters warrant that in performing the services for the client, the best workmanship and materials have been employed and Homestyle Roof Painters upon receipt of full payment hereby guarantees the workmanship for a period of Twelve Months from the date of completion of the work. Services for the client under $3 300 upon receipt of full payment has a warranty of 3 months for workmanship. 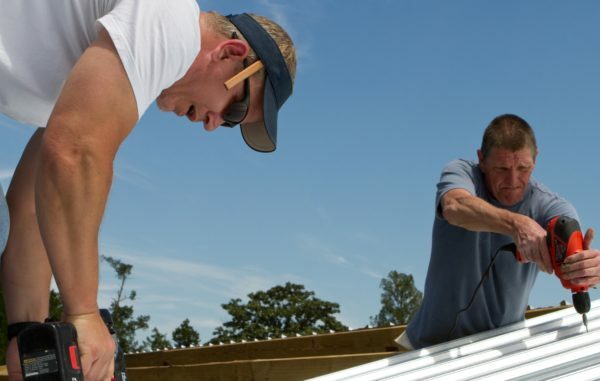 Roof Painters will not be liable for any loss and reserves the right to void the warranty. 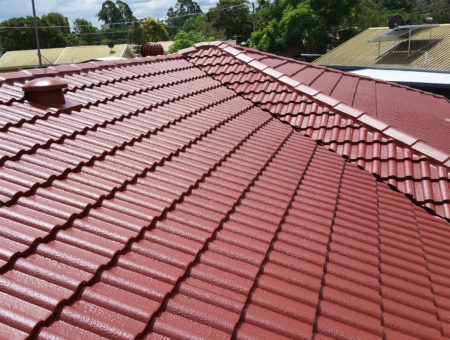 After the cleaning process the true condition of the tile/colorbond tin is revealed. Due to age, deterioration and sun damage some roof surfaces are compromised/weathered resulting in a variation in texture which can determine the look of the finished painted roof. 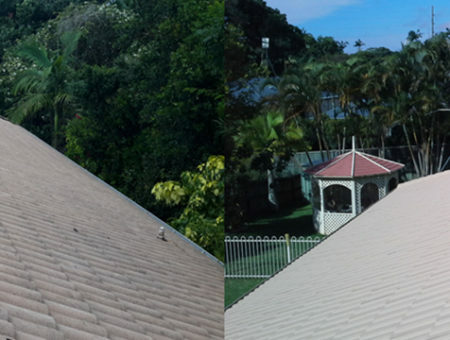 Some roofs display irregularity in the finished painted look by way of a duller flat or uneven/patchy satin finish. Different light can affect the finished look ie sun. Prior painted roofs. After the cleaning process the true condition of the tile/tin is revealed. Some paint might be removed during the cleaning process and some paint may remain on the roof. This determines the look of the finished painted roof. Some roofs display irregularity in the finished painted look by way of a duller flat or uneven/patchy satin finish due to the prior painted surface. Any warranty does not apply to any product which has been subject to misuse, neglect, accident or alteration by the Customer or any other person or thing whether authorised or unauthorised. Homestyle Roof Painters Warranty does not warrant against leaks. A Call out Fee of $175.00 will apply together with any costs associated with the purchase and/or supply of materials necessary to rectify the cause of reported leak/s. Where it has been determined that the cause of a leak is from pre-existing cause/s and non-related to the restoration/repairs process, all costs, will be borne by the Customer. Homestyle Roof Painters Warranty does not warrant against mould growth. Mould spores are impossible to contain or eliminate due to their minute size. 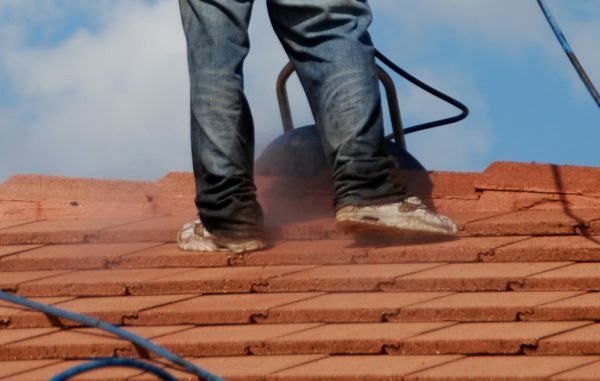 Regular maintenance by qualified trades persons post restoration should include the roof being cleaned with tap water pressure & rinsed with a broom every 12months to remove bird droppings, reduce lichen and dirt on the roof surfaces and noses of the tiles, as an ongoing maintenance and prevention method for mould growth or build-up of oxidisation. Any warranty is subject to the quote and the manufacturer’s guidelines and conditions. These terms and conditions are to be read in conjunction with any warranty provided by Homestyle Roof Painters. 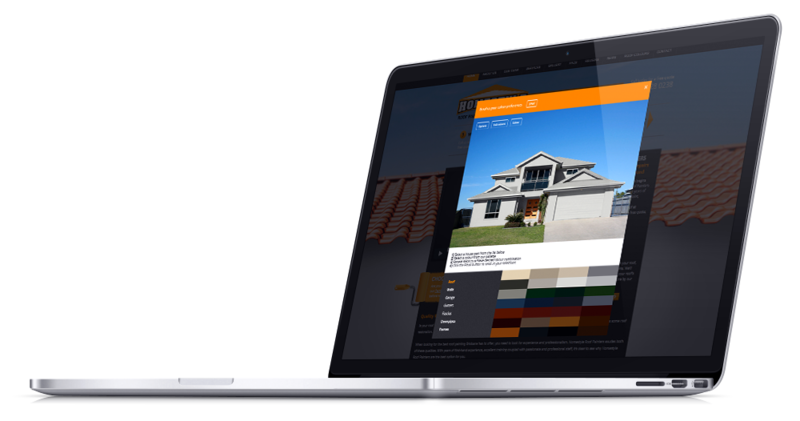 Colour selection is limited to the colour chart provided by Homestyle Roof Painters. Any colour chosen outside of the colour chart will incur an additional $950.00 fee. 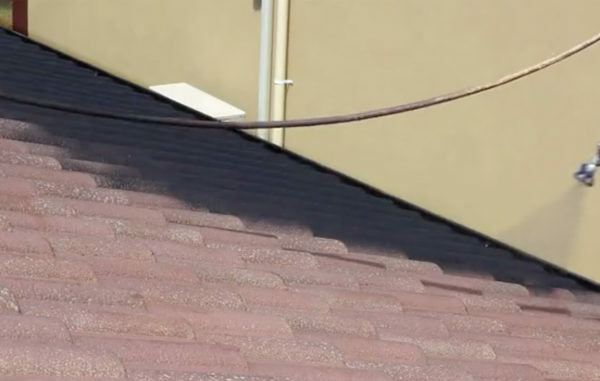 Due to circumstances out of Homestyle Roof Painter’s control, if roof has no sarking, or damaged sarking, water penetration may occur during the cleaning process or acts of God. Homestyle Roof Painters will not be liable for failure of previous coatings including rust prevention coatings and 3rd party flexi point. The customer agrees that they or any other unauthorised person will not climb on to the roof or be in the work area while work is under progress or use Homestyle Roof Painter’s ladder or equipment while work is in progress. Homestyle Roof Painters will not be liable for you or any other person to walk on the roof that may cause any damage as this voids any warranty. Homestyle Roof Painters reserves the right to charge interest calculated daily at 10%pa on overdue payments. QBCC Home Warranty Insurance is applicable on residential construction work component of this contract if it exceeds the threshold applied by QBCC. These terms and conditions and any contract to which they apply may be changed from time to time and shall be governed by the laws of Queensland and are subject to the jurisdiction of the Courts of Queensland.